Endometriosis is a condition where cells from the inner lining of the uterus are scattered where they do not belong. During each monthly cycle these groups of endometrial cells respond to the hormones produced by the ovaries just as they normally would, they swell with blood and bleed into the surrounding tissue. 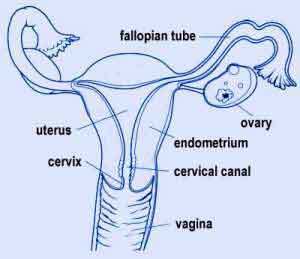 These areas (the fallopian tubes, uterine musculature, colon, bladder, and pelvic cavity) however are not meant to receive this bleeding and become inflamed and quite painful, even disabling.